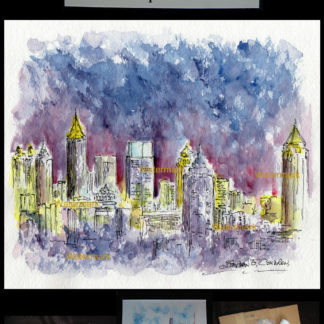 Atlanta skyline #025Y sunset watercolors are metropolitan twilight cityscape paintings with prints and JPEG & PDF image scans for reproductions also with a 20% off coupon by artist Stephen F. Condren, BFA-SAIC, at Condren Galleries, a Fine Arts Gallery, offering prints and JPEG & PDF scans. 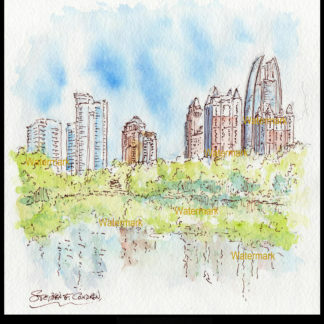 Because Atlanta is elegant, the skyline is graceful. 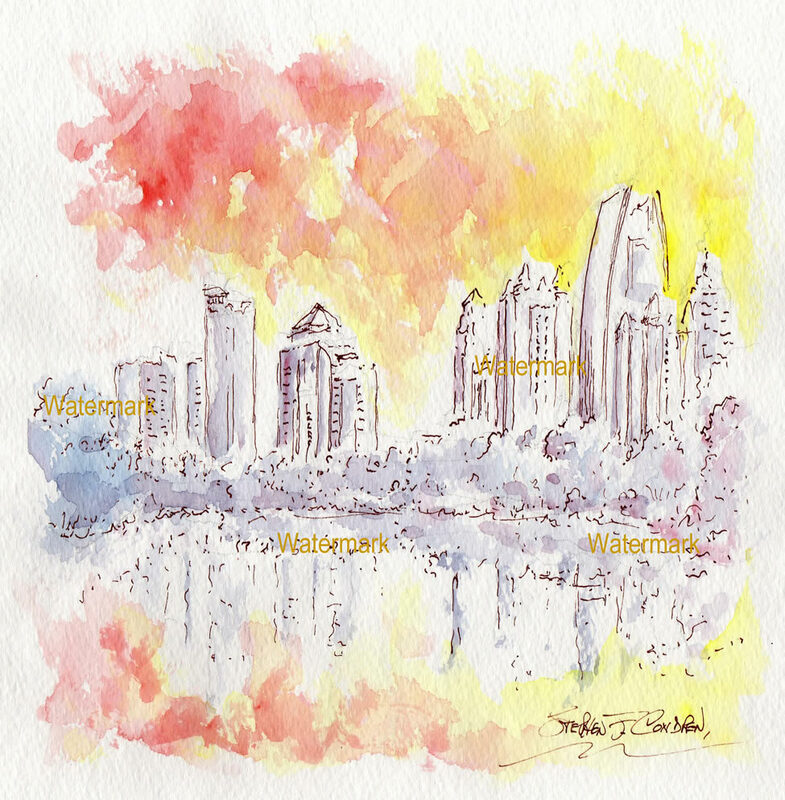 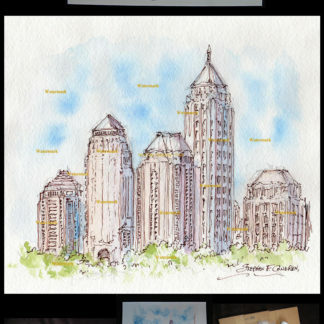 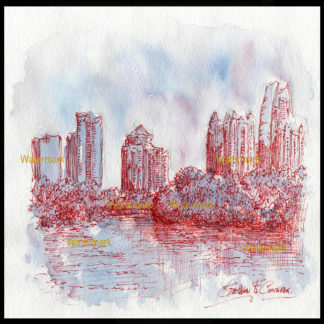 Watercolor skyline painting of midtown Atlanta in Piedmont Park at sunset by artist Stephen F. Condren.